ARLINGTON, VA, Dec 20, 2011/ — Give the gift of conservation this holiday season by buying the Federal Duck Stamps. The U.S. Fish and Wildlife Service produces the Duck Stamp, which sells for $15 and raises about $25 million each year to provide critical funds for conserving wetlands for the benefit of wildlife and the enjoyment of people. The Federal Duck Stamp is widely known as one of this nation’s most successful and effective conservation programs. Since 1934, sales of the stamps have helped to acquire more than 5.3 million acres of waterfowl habitat for the National Wildlife Refuge System. Ninety-eight cents out of every Duck Stamp dollar is spent to acquire land and protect waterfowl habitat. Junior Duck Stamps are also sold for $5 to stamp collectors, conservationists and the public. 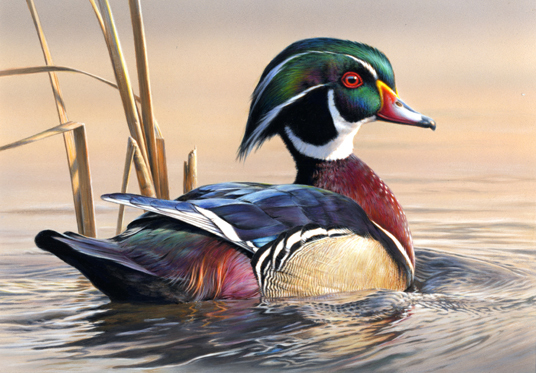 Proceeds from Junior Duck Stamp sales support environmental education efforts and scholarships for students from kindergarten through 12th grade. Duck Stamp supporters are also encouraged to join the Service in taking part in “Double Up for the Ducks” – a campaign by Ducks Unlimited encouraging duck hunters and all persons who would like to make a difference for wildlife conservation to purchase two federal Duck Stamps this year. For more information, please visit the Service’s Federal Duck Stamp Home Page: http://www.fws.gov/duckstamps/. You can follow the Federal Duck Stamp on Facebook at http://www.facebook.com/USFWS_Federal Duck Stamp.